Dear Santa is a heartwarming Christmas story about finding your passion for life and love. 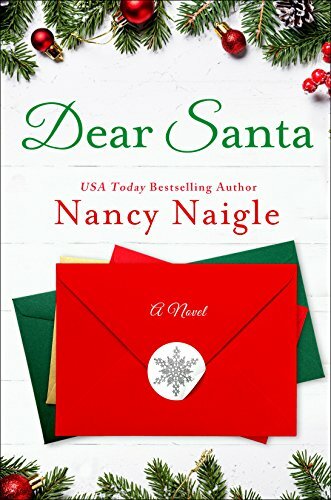 Dear Santa is a heart warming, holiday romance that will make you laugh, smile and tear up. Angela has inherited the family business, Heart of Christmas, which sells unique, high quality, handmade Christmas decorations, ornaments and more. It is more than just a business, it is her life – it is full of memories, dreams and where her heart lies. But in this modern age, where cheap can be king – how can it survive? Especially when the chain store, Christmas Galore, moves in. Angela is forced to face reality as sales that were already down, plummet. She just can not compete with the cheap, mass-produced products of the chain store. She faces anger, resentment and even hatred towards the store and the owner, Geoff Paisley – who before she realizes is the owner, she feels a great deal of attraction to! She bores her heart out into the sweetest app, Dear Santa (which you get to read several of the letters to Santa which will make your heart melt!) not realizing the creators of the app are Christmas Galore! Angela and Geoff face off with each other in a background of family emergencies, changing market landscapes and are forced to look deeply in order to reinvent themselves in order to survive. It was a beautiful story that made me laugh and served as a reminder that change, while at first is scary, can actually be great and lead to even better things. USA Today bestselling author NANCY NAIGLE whips up small-town love stories with a dash of suspense and a whole lot of heart. Now happily retired, she devotes her time to writing, antiquing, and the occasional spa day with friends. Her books include Christmas Joy, Dear Santa, and Hope at Christmas. A native of Virginia Beach, she currently calls North Carolina home.